It’s been a really enjoyable few weeks since my last effort – the weather has improved enormously, so I don’t feel quite so bad about sitting around in the house all day as it comes under the heading of staying out of the sun. Also, of course, August is peak holiday time – and we don’t want to be mistaken for tourists…. The Library is ticking over nicely. The best thing is that we are getting a number of French members – embarrassingly they seem keener to improve their English than many of us do to improve our French. One of our friends teaches English to mature French students on-line, and she says that she now teaches people who have been made redundant, and say that if they don’t have English on their CV they have no chance of getting another job. 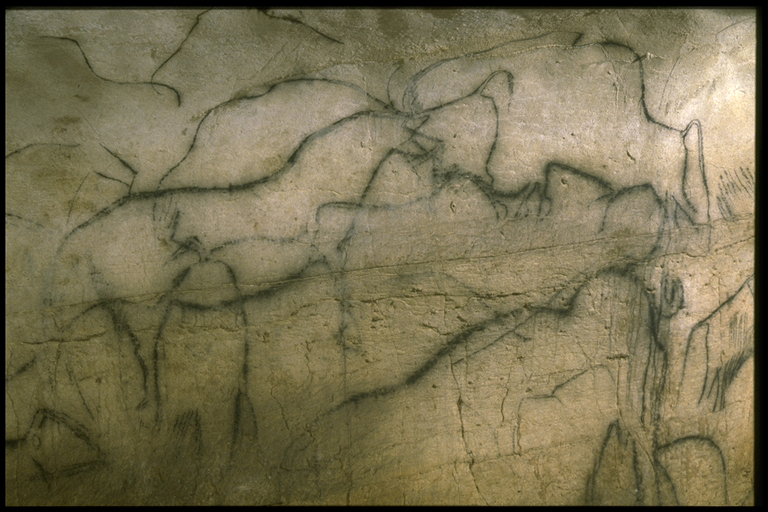 We have always wanted to see the cave paintings for which this part of France is famous. The cave at Lascaux is a replica, and the others in the Valley of Mankind near Les Eyzies-de-Tayac are fully booked months in advance or you have to queue for hours in the hope of getting a ticket. 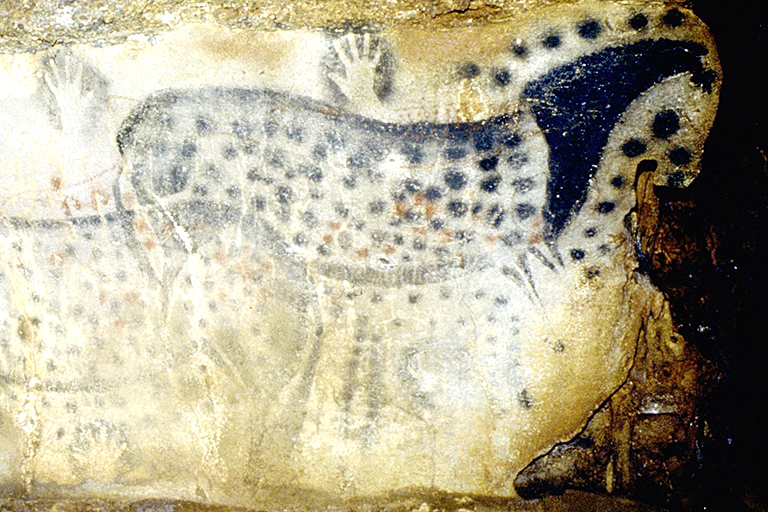 When I found the website for the caves at Pech Merle in the Lot, just over an hour south of us, and found I could book a guided tour in English, we were delighted. And we were not disappointed – they were superb. 25,000 year old cave paintings, showing horses mammoths and bison. Hand prints. 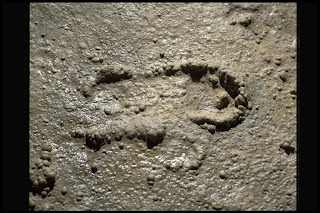 12,000 year old preserved child’s footprints. A wonderful day. The weather has been pretty good on the whole. Some very hot days – yet another excuse to sit in the cool and read a book. A few rather impressive storms with rain and hail, plus some exciting lightning displays. Later on in July we went to UK for Carol, Judy’s sister’s, birthday party. We made a break of it, spending the first night in Honfleur in Normandy and seeing our friends from the old days, the Harrops, who have a holiday flat nearby. Then through the tunnel and spent a great night with my cousin Linda and her husband Keith, who are renting an amazing house in East Sussex – who knew you could be so remote in that part of the world? 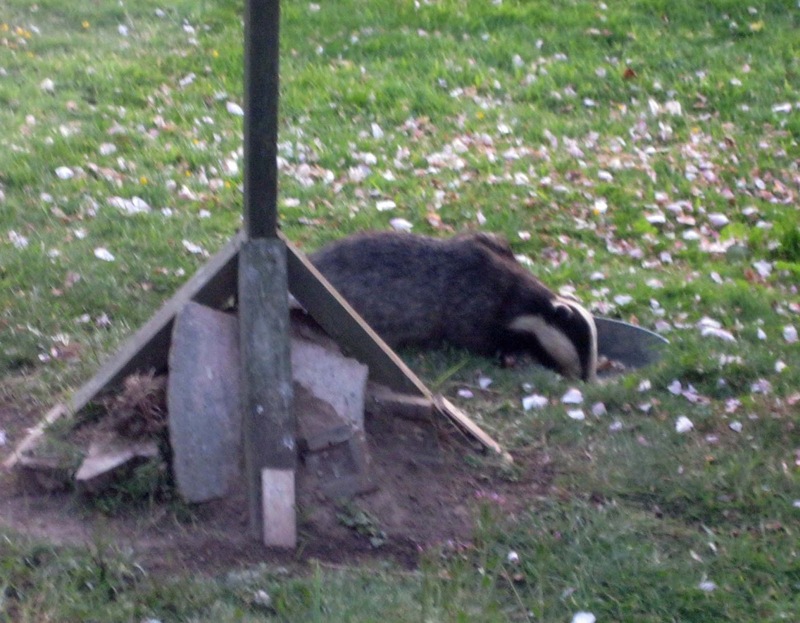 Particularly nice to see the badger that picks up the leavings from their bird feeders. Then on to stay with Posie in Dorset. You meet someone at university over 40 years ago and they still use that as an excuse to blag a room for the night! Back in our old home area we caught up with loads of old friends - Romney Pargetter, met up with the Titcheners for lunch and tea with Rennie Thompson. Oh the mad social round! Next to Oxfordshire where we stayed with Jim and Angela. We all went out for a very nice meal at the Five Alls in Filkins, which once again seems to be flourishing. 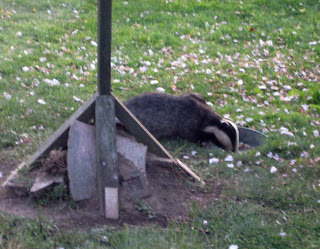 Met up with a few old friends then and on the following morning, and even met the lady who has bought our old cottage. Final run up to Stevenage, where we met up with Rachel, and booked into a local hotel. Had a very good evening celebrating Carol’s birthday – especially nice to see Lesley, over from California. Back to the Tunnel visa Essex where we caught up with Nick and tribe, and also saw Martin and his family. A night stop in Abbeville, a detour to pick up Bertie, and we got safely home. Tired but happy! 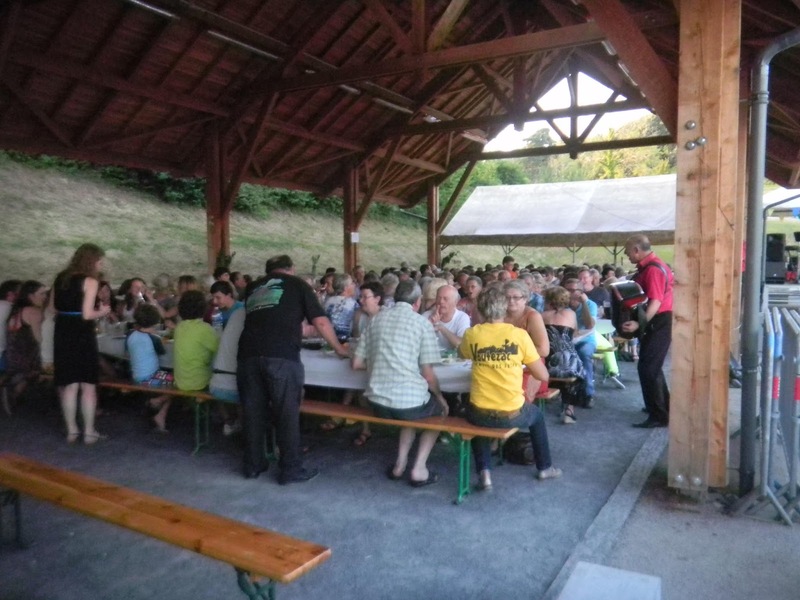 A few days later we had the annual Voutezac Peach Festival – a very enjoyable evening meal (peach themed of course), followed by a really excellent firework display. We especially relished the bit where at the end they light up our house with red lights, almost as if all the fireworks had set light to it! Gulp. Speaking of the weather – not that I was – we have had some really spectacular storms in the last couple of weeks. Our friends the Makepeaces are having their first real break in their holiday cottage just over the border in the Dordogne, and I think that some of the hail storms have quite impressed them! Just had Nick and family stay the night on the way down to their gite near Carcassonne. Very enjoyable to see them!